The Essipong Sports stadium in Sekondi Takoradi- one of the newly constructed stadia – for the hosting of the 2008 Africa Cup of Nations in Ghana is in total ruins. 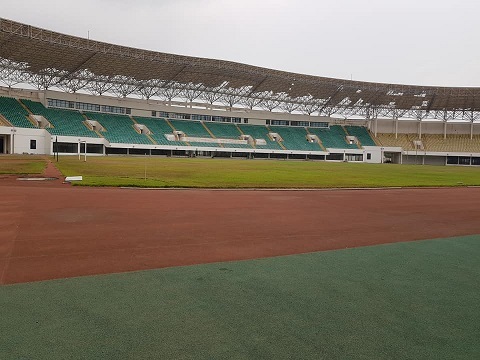 The Essipong Stadium which is only about a decade old has been left to rot by the National Sports Authority- the legal custodians of the various national sporting infrastructure. This bad state of the stadium also reflects badly on the current Sports Minister, Isaac Asiamah who has been touring the entire country, and cutting sod for the construction of ten sports complexes in ten regions of Ghana. 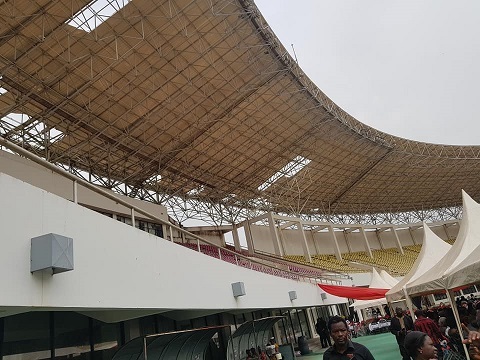 Recently, the government, through the Sports Ministry had to make money available for the refurbishment of the Accra Sports stadium in order to make it suitable to host the 2018 African Women Championship (AWCON 2018). 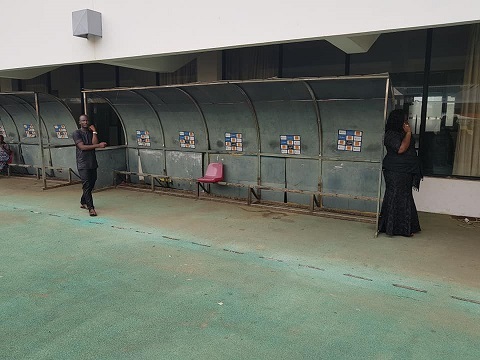 Last weekend, respected journalist Francis Doku was the first to bring our attention to the terrible state of the stadium before Finder Sports’ checks also confirmed that indeed the one-time shinny and illuminating structure is now a death-trap. All attempts to get the National Sports Authority to speak to the matter proved futile.